It is more than a Walk, it is an Event! We have vendors, we have raffles, we have food and water! We have music by School of Rock Port Jefferson, House and Junior House Band, will be playing some great music! We have some great government officials coming by! We have great fun and great people all here to support a great cause, Sarcoidosis! 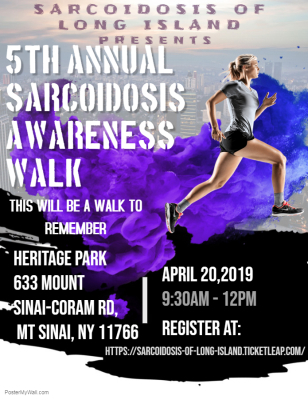 For more information hit the button above that says "SARCOIDOSIS AWARENESS WALK WEBSITE!" 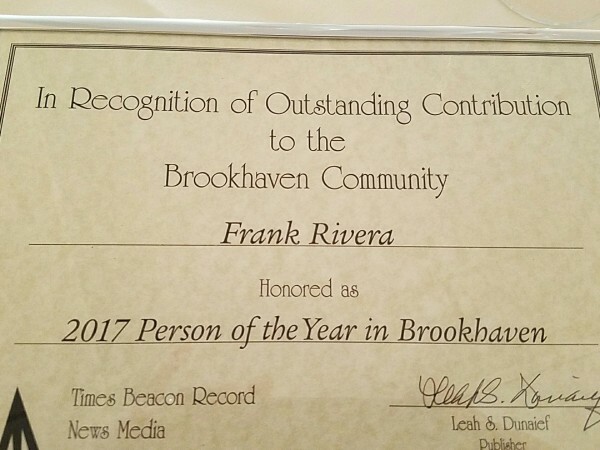 (subject to change in our discretion). Other restrictions may apply. Please see participating location for details. ®2015 Buffalo Wild Wings, Inc.
10%* of your total bill (not including tax, gratuity or promotional discounts) to our organization. 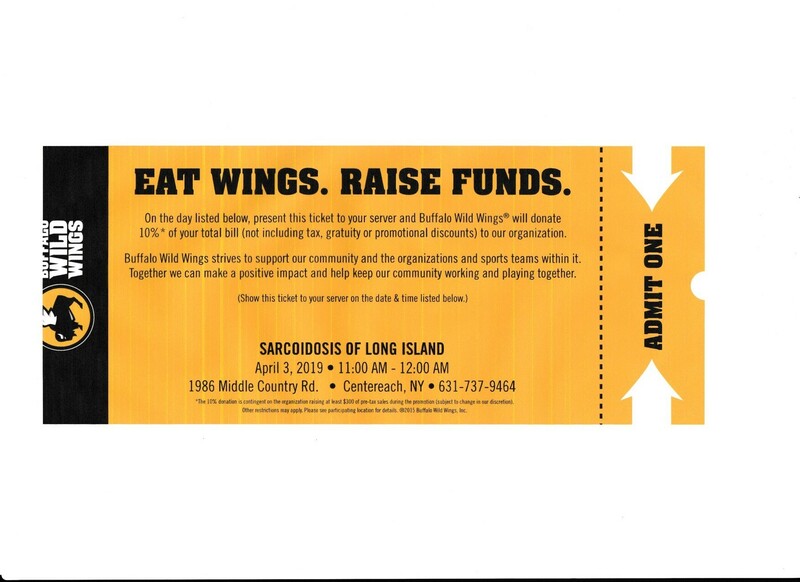 Buffalo Wild Wings strives to support our community and the organizations and sports teams within it. Together we can make a positive impact and help keep our community working and playing together. 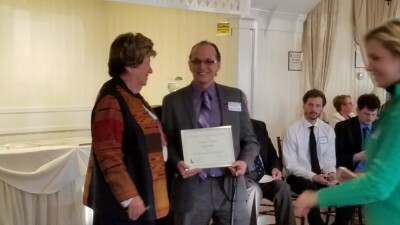 assistance for those living with Sarcoidosis. 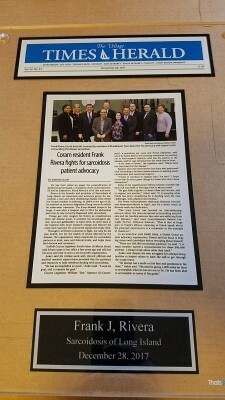 Sarcoidosis of Long Island has grown into an advocating organization to fight for the rights of people who have this rare disease called Sarcoidosis. We fight for those who can't fight for themselves. We work with local, county, state and national government officials to gain recognition and raise awareness for this rare terrible disease. 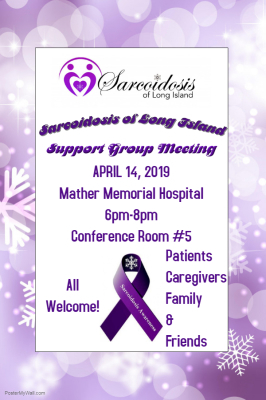 Sarcoidosis (pronounced SAR-COY-DOE-SIS) is an inflammatory disease characterized by the formation of granulomas, tiny clumps of inflammatory cells, in one or more organs of the body. When the immune system goes into overdrive and too many of these clumps form, they can interfere with an organ’s structure and function. When left unchecked, chronic inflammation can lead to fibrosis, which is permanent thickening or scarring of organ tissue. This disorder can affect almost any organ in the body, including the heart, skin, liver, kidneys, brain, sinuses, eyes, muscles, bones, and other areas. Sarcoidosis most commonly targets the lungs and the lymph nodes, which are an important part of the immune system. When it affects the lungs, it is called pulmonary sarcoidosis. Ninety percent or more of people diagnosed with the disease have lung involvement.